The delays caused by a legal battle within the Sheffield city region has left the Local Enterprise Partnership (LEP) "frustrated and disappointed" but its chair said it will continue to focus on economic growth. Local authority leaders stated last week that it is not possible to hold a Mayoral election in May 2017 as planned and that they would now work towards elections in 2018. As a proposed devolution deal progresses, a Mayoral Combined Authority (CA) is set to be created, building on the 2013 agreement which saw the nine local authorities that comprise the city region create a new legal body with responsibility for transport, economic development and regeneration. The CA works alongside the private sector-led LEP which provides the strategic leadership required to set out local economic priorities, and better reflect the natural economic geography of the areas they serve. Chesterfield and Bassetlaw councils, currently non-constituent members, signalled their intention to join the Combined Authority but a legal challenge from Derbyshire over the consultation means that it will need to be carried out again. 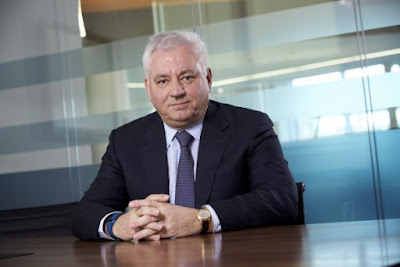 Sir Nigel Knowles, chairman of the Sheffield City Region LEP, said: "There is no doubt that the LEP is frustrated and disappointed at the position that Derbyshire County Council have taken towards the implementation of the city region's devolution deal. This is a deal that secures new powers and resources to promote economic growth locally and to connect our residents to the opportunities being created across our super-connected and thriving city region. "The proposals consulted on last year included supporting the decisions taken by both Chesterfield and Bassetlaw to become members of the Combined Authority. The recent legal challenge inevitably slows this down to the point that it is impossible for Mayoral elections to take place in May this year. Which is why we welcome the announcement yesterday that the Combined Authority has committed to working towards Mayoral elections in 2018. "As a private sector led partnership we are not letting delays on our devolution deal get in the way of our current programme of delivery. We already have devolved funds in place supporting business investment in workforce development through the Sheffield City Region's Skills Bank and we are investing hundreds of millions in capital projects across the city region. This programme of investment has helped unlock £400m of investment from a Canadian Pension Fund at the I-Port development in Doncaster and is contributing to the Peak Resort development in Chesterfield which includes another £400m of foreign investment by Grand Heritage Hotels. "The Local Enterprise Partnership will keep a laser like focus on supporting economic growth for the Sheffield City Region. Evidence from our most recent Quarterly Economic Survey tells a positive story about the city region's business base and that our businesses have the confidence to move forward and keep investing even in turbulent national economic times. "With an ambitious city region programme in place for attending the world's largest property and investment conference in March and great progress being made for the hosting of the Horasis China event, to be held here in November this year, we're getting the job done." The £900m devolution deal includes a new gain share deal within an envelope of £30m a year for 30 years – giving the SCR the power to use new funding to boost local growth and invest in local manufacturing and innovation. In return, the Government will require a directly elected mayor to hold accountability for the new powers.